Who doesn’t love cheese? Gooey, melted, or with a kick…Cheese is one of American’s favorite foods, but some are higher in fat than some ice creams! Mascarpone is almost exclusively made up of saturated fat. So here is a quick guide as to which are the best and worst cheeses. Ricotta: Just 49 calories. One of the reasons to love ricotta…it one of the lowest calorie options! Parmesan: 122 calories. Be careful here. Parmesan is one of the highest calorie options. 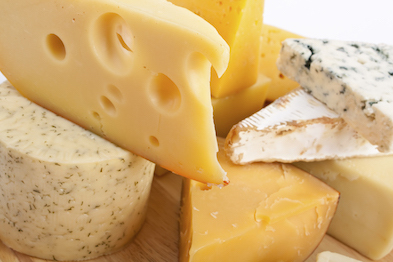 However, this hard cheese is usually reserved as a grated topping for dishes. A tablespoon of Parmesan cheese has only 22 calories and still provides a boost of flavor to your dishes.